Call us at (989) 704-3334 today. Come to 3 Point Chiropractic for the best in chiropractic care. Located in the town of Sebewaing, Michigan, our practice provides specialized care for children, adults, and the elderly. We utilize the latest techniques and equipment and offer personalized care to treat specific conditions. Contact us today to schedule an appointment. 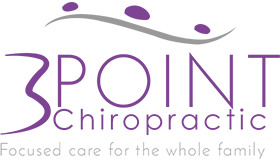 3 Point Chiropractic is headed by Dr. Whitney Schulz, an experienced chiropractor. She opened this chiropractic clinic in order to provide effective solutions for pain relief to patients throughout the area. Her goal is to help individuals overcome the physical pain they endure and live happy and healthy lives. Dr. Schulz frees people from pain in Sebewaing, MI. As an experienced chiropractor, Dr. Schulz is committed to promoting health and well-being for all. "Dr. Whitney is wonderful! I highly recommend her!!" "Dr. Whitney is amazing! She is very knowledgeable and her caring personality is infectious. Sebewaing is lucky to have such an amazing doctor who will be a blessing to the whole community!" "Just had my initial consultation, and Dr Whitney was very thorough, and was super friendly. I highly recommend her, she's a very sincere, knowledgeable Dr and a great person"
"Dr. Whitney is personable yet extremely thorough and hands on. Her smile will put anyone at ease, whether it be an infant, or the most seasoned patient. Put that together with her expertise and work ethic, and you are in the most capable hands!" "Dr. Whitney is caring and knowledgeable. She has taken care of me both before and during pregnancy. I too am a chiropractor and Dr. Whitney has worked at my office covering my patients and providing them exceptional care during my maternity leave. She will lovingly care for you and your family! So thrilled your community will have access to such a great doctor!"